The Rebel Sweetheart. : 5 Essential Rules You Must Follow When Moving House. 5 Essential Rules You Must Follow When Moving House. If you’re planning on moving anytime soon, then it is definitely time to start planning. 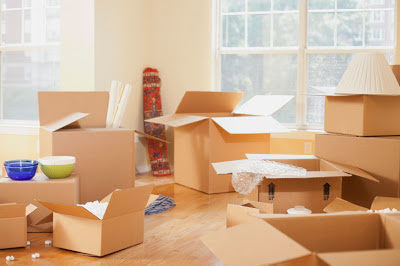 The date will no doubt come around a lot quicker than you think and there’s nothing more stressful than moving house when you are totally unprepared (something which most of us are probably guilty of having done at one time or another). However, if you take time to prepare, what is often a stressful experience, may just turn into an exciting one that runs as smooth as clockwork. If you’re planning on taking care of the move yourself, then try and organise getting as many friends involved as possible. The earlier you organise the better, as if you leave it until the last minute they will often be too busy. If, on the other hand, you decide to go with a removal firm, take the time to look into them properly first. Get at least 2 or 3 written quotes and make sure whoever you employ to carry out the move is a member of BAR (British Association of Removers). If in any doubt ask questions, such as how much are your goods insured for and how long have they been trading. It may be that you are getting new furniture and you want it delivered on a specific day. If you are planning on dumping certain items, it may make life easier if you get as much done as possible over the previous weeks. Getting hold of boxes and other packing material can also be problematic at times, so you may want to think of this well in advance. From your landlord to the utility companies, you will need to let them all know you’re moving. Credit card companies, banks and insurance companies will also need to be informed whilst you’re at it. If you give your insurance company a call, you should be able to make sure your new home is insured from the day you move as well. The last thing you will want to do is leave packing until the last minute. However, if you are organised the whole move can go so much easier. Try and get as many strong boxes as possible well in advance and take the time to start boxing everything that isn’t essential sooner rather than later. When putting heavy or expensive items in a box don’t hold back on the parcel tape, as an extra layer may be the difference between the box holding or not! It’s also advisable to pack by rooms and to label each box as clearly as possible. After spending 10 hours moving, who really wants to have to open 15 boxes just to find the kettle! There is a good chance that if you are moving in, someone else has just moved out, which means check for any damage that may have been hidden behind furniture or caused during the previous owners/tenants moving out. You will also need to take all of the relevant meter readings and inform the utility companies, so you’re not stuck paying someone else’s bill. If you are considering moving house and are still in the early stages, why not contact Hunters for a free evaluation. Moving out and in is the hardest part to do as you get to fix your stuff at both places so you should have a checklist and be organized to avoid any losses. I can imagine how tedious it must be to move in and out of a house. I wish there was a service whichthat would make it a lot easier. This can truly help, especially those moving out. I'll share this with my sister because they will be moving out this December, great ideas from a great mind. I hate moving! Eversince hubby and I got together, we already moved 3 times. Gosh, imagine packing, loading, unloading, unpacking and arranging stuff. Arrrgh! !